Located in one of the most sought after locations on the north bank of the River Thames, adjacent to Chelsea Harbour, Imperial Wharf is a development owned by St George PLC, a company which creates vibrant new residential and mixed-use developments across London. 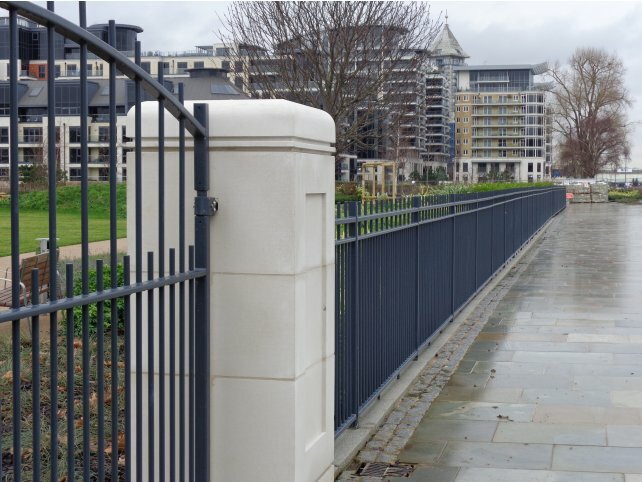 The Imperial Wharf Parkland and Boulevard project was commissioned to provide landscaped parkland and paved boulevard pathways for these exclusive properties located alongside the River Thames. The project won a 2014 British Association of Landscape Industries (BALI) award in the Hard Landscaping Construction (Non-domestic) category for projects valued over £1.5m. 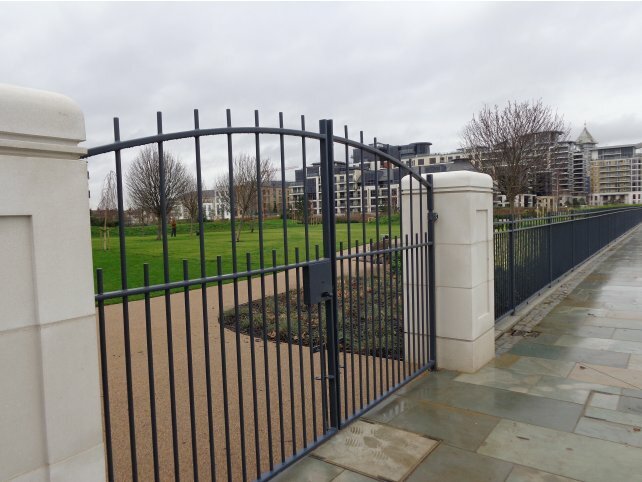 Alpha Rail designed manufactured and installed all the metal park railings, which consisted of approximately 350 linear metres of galvanized and powder coated 1.5 high vertical bar railings and various gates to the perimeter of the Parkland. 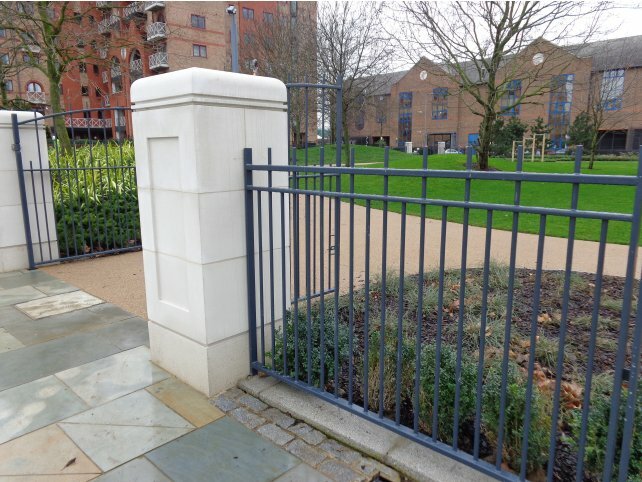 The finished effect of the railings has provided safe walking areas along the riverside pathways and an attractive boundary to gardens for residents to enjoy. 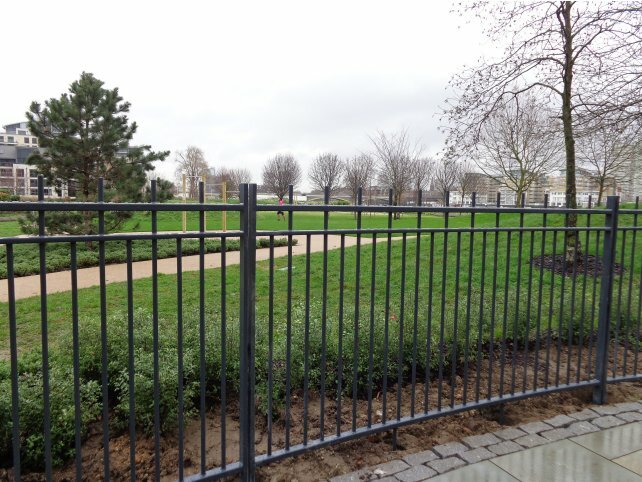 "We received lots of valuable advice regarding the design and types of metal railings to consider installing. Communication from Alpha Rail was excellent throughout the project. Some issues were encountered during installation but the way Alpha Rail responded ensured everything was resolved satisfactorily in the end."